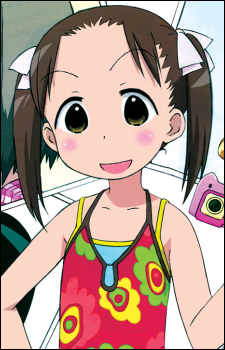 Miu is another twelve-year-old girl who is depicted in the story as having a problem-child personality. A childhood friend of Chika, she lives next door to the Ito house and attends the same class as Chika. Miu likes to say random things out of the blue and often plays pranks on Matsuri and Ana, but is most of the time interrupted by Nobue (and sometimes by Chika), ending up lying face-down on the floor. She has the least common sense or manners of the girls, and is rarely taken seriously because of her weird ideas and comments. She seems to harbor some sort of jealousy of Ana and Matsuri, because Nobue finds them cuter. Miu is nicknamed "Micchan".